The TIA/EIA structured cabling standards define how to design, build, and manage a cabling system that is structured, meaning that the system is designed in blocks that have very specific performance characteristics. The blocks are integrated in a hierarchical manner to create a unified communication system. For example, workgroup LANs represent a block with lower-performance requirements than the backbone network block, which requires high-performance fiber-optic cable in most cases. The standard defines the use of fiber-optic cable (single and multimode), STP (shielded twisted pair) cable, and UTP (unshielded twisted pair) cable. The initial TIA/EIA 568 document was followed by several updates and addendums as outlined below. A major standard update was released in 2000 that incorporates previous changes. TIA/EIA-568-A-1995 (Commercial Building Telecommunications Wiring Standards) Defines a standard for building cable system for commercial buildings that support data networks, voice, and video. It also defines the technical and performance criteria for cabling. TIA/EIA-568-A updates (1998-1999) The TIA/EIA-568 was updated several times through this time period. Update A1 outlined propagation delay and delay skew parameters. Update A2 specified miscellaneous changes. Update A3 specified requirements for bundled and hybrid cables. Update A4 defined NEXT and return loss requirements for patch cables. Finally, update A5 defined performance requirements for Enhanced Category 5 (Category 5E). TIA 568-B.1-2000 (Commercial Building Telecommunications Wiring Standard) The year 2000 update packages all the previous addendums and service updates into a new release and, most important, specifies that Category 5E cable is the preferred cable type that can provide minimum acceptable performance levels. Several addendums were also released that specify technical information for 100-ohm twisted-pair cable, shielded twisted-pair cable, and optical fiber cable. TIA/EIA-569-A-1995 (Commercial Building Standard for Telecommunications Pathways and Spaces) This standard defines how to build the pathways and spaces for telecommunication media. TIA 570-A-1998 (Residential and Light Commercial Telecommunications Wiring Standard) This standard specifies residential cabling. TIA/EIA-606-1994 (Building Infrastructure Administration Standard) This standard defines the design guidelines for managing a telecommunications infrastructure. TIA/EIA-607-1995 (Grounding and Bonding Requirements) This standard defines grounding and bonding requirements for telecommunications cabling and equipment. The current trend is to evolve the standards to support high-speed networking such as Gigabit Ethernet and define advanced cable types and connectors such as four-pair Category 6 and Category 7 cable. Category 6 is rated for channel performance up to 200 MHz, while Category 7 is rated up to 600 MHz. Why you need to get Structured Cabling Contractor? The market now are very competitive even in this structured cabling market, I believe every one can pull and install the cable but are they install in the correct manner? Electrical contractors that do install structured cabling without a solid knowledge of the process may be putting both the home’s network and their own professional reputation at risk. However, refusing to take part in the structured cabling market may not be the best move for an electrical contractor either. For example, the maximum pulling tension for low-voltage cable is much less than that used for electrical cables. Each manufacturer has its own standard, but less than 25 pounds is typically recommended. What will happen if more force is used? “One improper tug at a wire, and you can pull out the twist that is so carefully put in by the manufacturer, degrading performance. It is also important to note that the low-voltage cable, such as fiber optic cable, cannot bend at a 90 angle, so it must form a loop in order to turn in a different direction. The radius of this loop also depends on manufacturer specifications. If there is too sharp of a bend in the cabling, some of the cable fibers could break or kink and also degrade the signal. You must install low-voltage cables at least 12 inches away from electrical wires, and run them parallel to one another. They must not be closer than this for more than 6 feet. If electrical wires and low-voltage cables cross, they must do so at a 90° angle. Though many builders seem willing to give their structured cabling work to electrical contractors, some are still not sure they will perform at the level of electronic systems contractors, alarm system installers, and even home entertainment installers — all specifically trained in low-voltage installations. Businesses and organizations worldwide are more dependent than ever upon networks that operate over a broadly distributed physical infrastructure layer, comprised of hundreds of millions of cables and connections. The reliability or fallibility of these networks’ is dependent upon many factors, including comprehensive and accurate status and documentation, and the ability of network personnel to isolate, troubleshoot, and repair failures. Security Ever-increasing security threats raise the need for organizations to require complete network visibility and instantaneous intrusion detection. High Availability With typically 60 to 80% of unplanned downtime originating in the physical layer, lack of visibility and management capability poses serious risks to network availability. OPEX Accurate knowledge of physical layer network topology leads to less network issues, faster resolution of problems and a reduced OPEX. Compliance There are a variety of government regulations, compliance and reporting requirements regarding how an organization’s data is accessed, transacted and stored. Today’s network management tools simply do not have access to information related to physical layer connections where intrusion detection and accurate logging of events can guarantee network integrity and meet security, compliance and reporting requirements. Capacity and Scale The ever-increasing amount of network traffic and data storage requirements continues to drive complexity in the network. 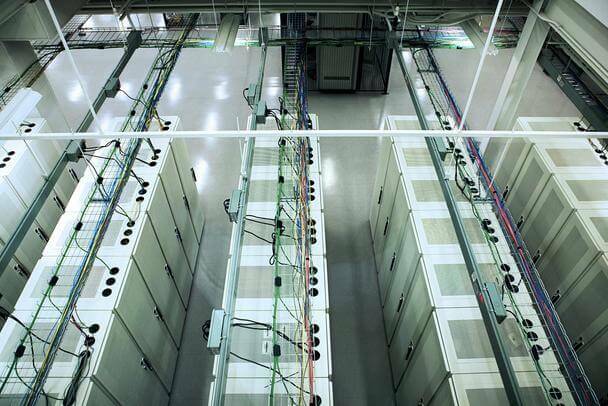 Data Centers need to be more agile and able to scale their network based on new demands. It is more critical than ever to choose solutions that allow for capacity and flexibility. To solve these network issues, TE Connectivity introduces Quareo, a game-changing technology in the physical layer or layer 1 of the OSI model. This technology is based on unique identifiers for every connection point in the network, where a connection point can be defined as one end of an Ethernet cable or a port on a network device. Quareo is a Connection Point Identification Technology, which provides unprecedented knowledge about the network including accurate documentation and reporting of changes, as well as enhanced security; Quareo enables higher network availability while lowering the network operating costs for a network, from the data center all the way to the desktop. How is the Quareo different? The technology uniquely identifies each connection at the time of install, which enables the Quareo ICM software to automatically self-discover, inventory and document the connection and co-relate all other connections in the network to create a comprehensive network view of the connection points. Every physical change in the network is recorded for real-time monitoring and event logs, topology mapping and problem solving from the data center to the desktop. Quareo delivers unprecedented security and business continuity by making every outage, interruption or intrusion instantaneously visible via graphic display and reporting tools.